Arsenal Supporters’ Trust has hit out at Stan Kroenke’s bid to buy the club outright, saying it “marks a dreadful day” for the Gunners, Skysports reports. Majority owner Kroenke, who owns 67 per cent, made a cash offer to take full ownership of the club, valuing Arsenal at around £1.8bn after securing the backing of minority owner Alisher Usmanov (30 per cent). The Supporters’ Trust statement read, “This news marks a dreadful day for Arsenal Football Club. “The AST is also extremely concerned to note that this purchase is being funded by a loan. “The most dreadful part of this announcement is the news that Kroenke plans to forcibly purchase the shares held by Arsenal fans. Many of these fans are AST members and hold their shares not for value but as custodians who care for the future of the club. 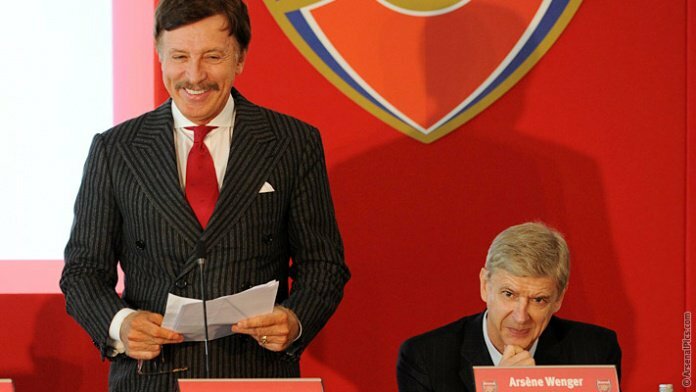 Kroenke made a cash bid worth more than £550m to buy Usmanov’s 30 per cent stake of the club to take full ownership, receiving an “irrevocable undertaking” from the Russian’s security firm to accept the offer as soon as possible.